Membership in the Merrimack Valley Quilters Guild is open to anyone interested in the art of quilting. You do not need to be a quilter to join us. Our membership currently stands at 120 members with room to grow! We would love to have you join us. Annual dues of $35 are payable by June 30th for the guild year running July to June. 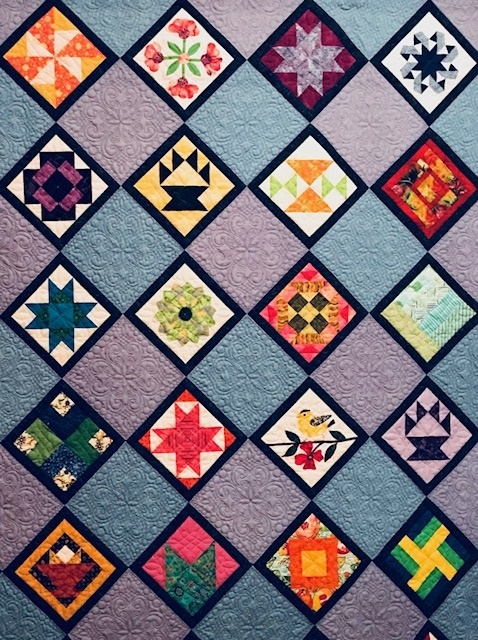 A special rate for seniors 65 and older is $30 and both memberships include free raffle tickets for the current Raffle Quilt. If you would like to join us as a guest to check us out, we charge a $5.00 guest fee, only payable on months when we have a featured speaker. Several months a year, we have featured speakers at our Guild meeting. Many of our speakers are nationally and internationally known. Past speakers have included Joe Cunningham, Holice Turnbow, Jessica Ledger, Marlous Carter, Becky Goldsmith and Amy Friend. Most speakers also hold a workshop that members can sign up for so you can learn their techniques. 2018 -2019 will feature Sue Pelland, David Sirota, Linda Hahn, Alison Wilbur and Kathy Graves. Coming attraction: Edyta Sitar is coming in 2020 as a featured speaker!!! Meetings are held on the third Thursday of the month in September, October, January, February, March, April, and June. There is holiday celebration meeting held the first Thursday in December in lieu of the November and December meetings. The May meeting is held on the second Thursday of the month, which in 2018 is May 10th of the month. All meetings are held at the Northern Essex Community College campus in Haverhill, MA at the Technology Center, in Conference Room 103B. The building is fully handicapped accessible and has ample parking. Any Guild member who has a web site or a blog is encouraged to provide a link from our web site.